The damage that flying does to the planet needs to be reflected in the price of plane tickets. 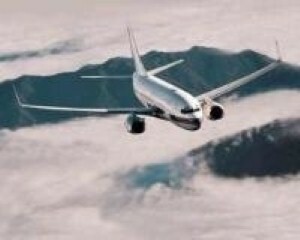 That is the opinion of Friends of the Earth (FOE), which has suggested that the amount of CO2 emitted by aeroplanes should be taken into account when working out the cost of a flight. Noting that air travel is "one of the fastest growing sources of UK carbon dioxide emissions", FOE said that more needs to be done to try and deal with climate change. Tony Bosworth, the transport campaigner at FOE, suggested that the government should consider investing in other forms of transport to make them a more appealing alternative to flying. He said: "Ministers must abandon their airport expansion plans, invest in cleaner alternatives to short-haul flights such as fast rail links, and include Britain's share of international aviation emissions in its plans for a climate change law. "They should also ensure that the cost of flying reflects the real damage that it is doing to the planet." A recent study conducted by Loughborough University found that a rise of just £50 on return air fare would encourage many people to fly less frequently.